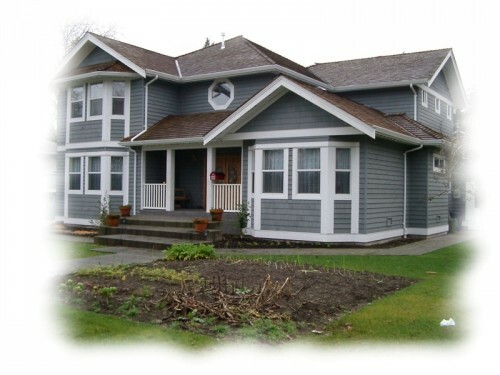 Located in sunny Tsawwassen, British Columbia, Canada, our Bed and breakfast is 10 minutes from BC Ferries to Victoria, Nanaimo (Duke Point) and the Southern Gulf Islands. A 5 minute drive to the USA border and spectacular golf at Point Roberts, Washington.Close by there is Convenient regular bus service into Vancouver or just a 35 minute drive into downtown Vancouver. In Tswwassen our B&B is just a 5 minute drive to beautiful beaches and our B&B is within walking distance to local shops and restaurants and more. We offer two spacious B&B suites, each with a private entrance, private sitting room and en suite bathroom with large shower, satellite TV and VCR, coffee maker, fridge, microwave oven, Queen or Double bed, wireless high speed internet access and more.